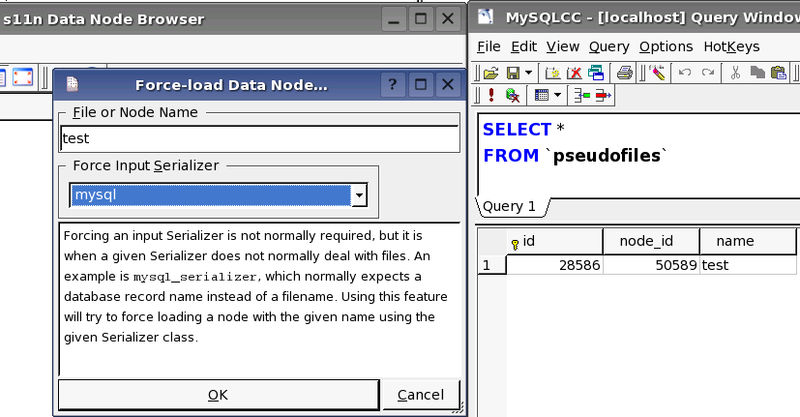 A Qt-based tool to browse s11nlite-saved data. 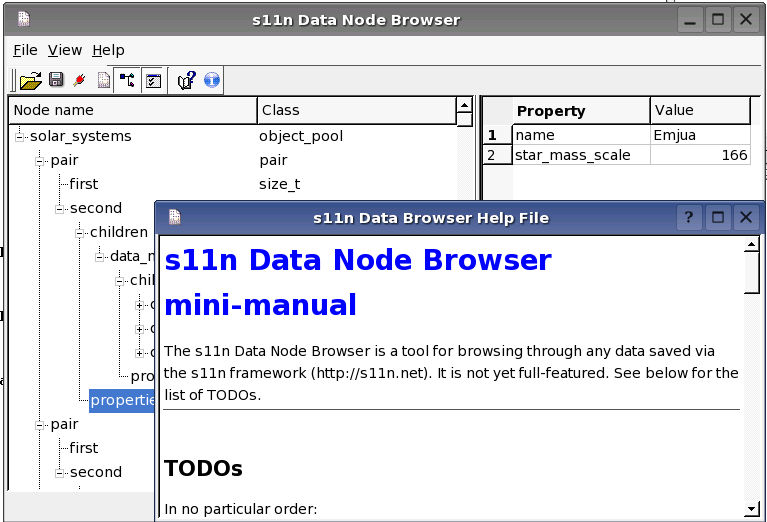 The s11n Data Node Browser is a Qt-based tool which allows one to read in and browse any s11n-saved data. This software is, due to it's Qt heritage, necessarily released under the GNU General Public License (GPL). You can download the Browser from the downloads page. It requires a recent s11n library (which exact version is unknown, to be honest), and requires Qt 3.3.x. It might work with Qt 3.1 or 3.2, or even newer versions, but the configure test currently assumes 3.3.x, and will fail on other versions (patches would be much appreciated!). The browser provides essentially the same features as s11nconvert, but does so with a graphical user interface. 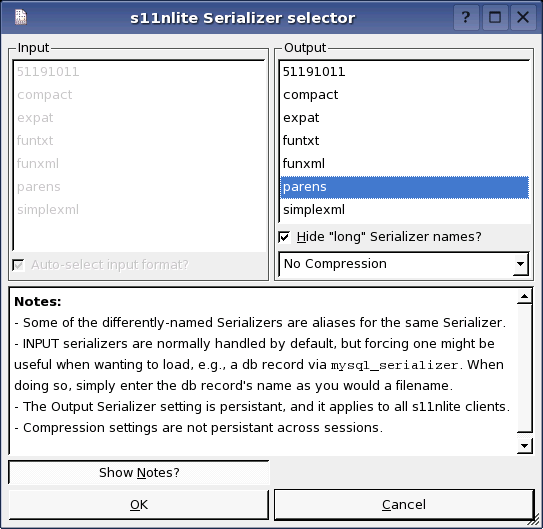 It is only a marginally useful tool, but it demonstrates client-side usage of a variety of s11n-related features, like data file compression and Serializer selection. It also allows simple editing features, like copy/cut/paste and deletion of nodes, and saving a specific branch of a tree to a file. This tool demonstrates the ease with which s11n can be integrated with 3rd-party libraries and applications. 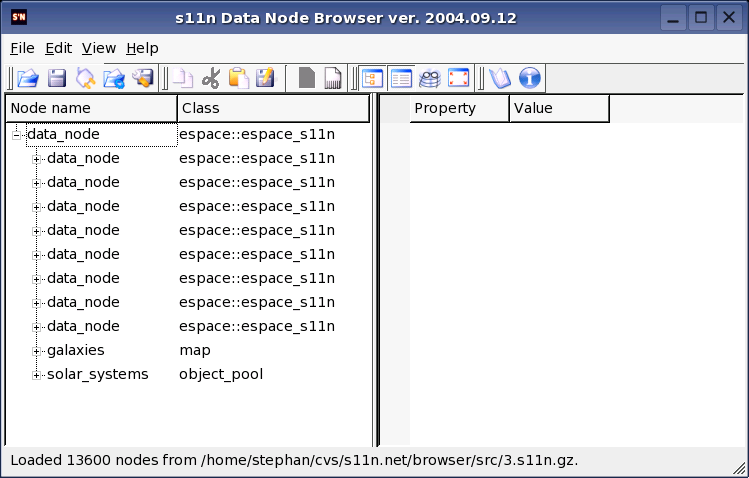 It also shows how all applications which take advantage of libs11n can share data with each other: this tool can read any data written by any s11nlite client, as long as it can find the appropriate Serializer class(es).